Mani Amoozadeh, Arun Raghuram, Chen-Nee Chuah, Dipak Ghosal, H. Michael Zhang, Jeff Row, and Karl Levitt, Security Vulnerabilities of Connected Vehicles Streams and their Impact on Cooperative Driving, to appear in Automotive Networking Series, IEEE Communications Magazine, April 2015. Mani Amoozadeh, Hui Deng, Chen-Nee Chuah, H. Michael Zhang, Dipak Ghosal, Platoon management with cooperative adaptive cruise control enabled by VANET, Elsevier Vehicular Communications, March 2015. Yu Liu, Minh Huynh, Dipak Ghosal, Efficient Downlink Scheduling with Discontinuous Reception (DRX) Mechanism in LTE Network, IEEE International Conference on Computing, Networking, and Communication (ICNC), Anahiem, CA, Feb. 2015. Nathan Hanford, Vishal Ahuja, Matthew Farrens, Dipak Ghosal, Mehmet Balman, Eric Pouyoul, Brian Tierney, Analysis of the Effect of Core Affinity on High-Throughput Flows, 2014 Fourth International Workshop on Network-Aware Data Management (NDM), November 2014. Dylan Wang, Abhinav Bhatele, Dipak Ghosal, Performance Variability due to Job Placement on Edison, Poster presented in SC14, The International Conference for High Performance Computing, Networking, Storage and Analysis, New Orleans, LA, November 2014. Nathan Hanford, Vishal Ahuja, Matthew Farrens, and Dipak Ghosal, Mehmet Balman, Eric Pouyoul, and Brian Tierney, Impact of the End-System and Affinities on the Throughput of High-Speed Flows, Proceedings of The Tenth ACM/IEEE Symposium on Architectures for Networking and Communications Systems (ANCS) ANCS’14, October 20–21, 2014, Los Angeles, CA, USA. 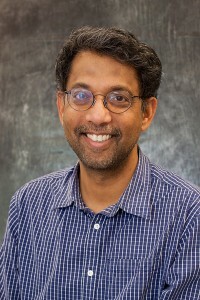 Rennie Archibald, Dipak Ghosal, A comparative analysis of detection metrics for covert timing channels, Computers & Security, May 2014. A complete list of publications can be found here.